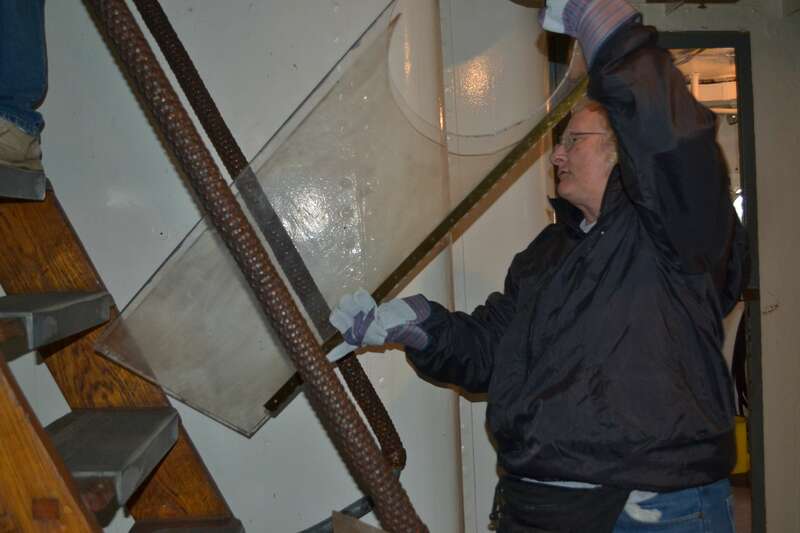 Workday: Historic Ships in Baltimore – March 19, 2016 – Chesapeake Chapter U.S.L.H.S. 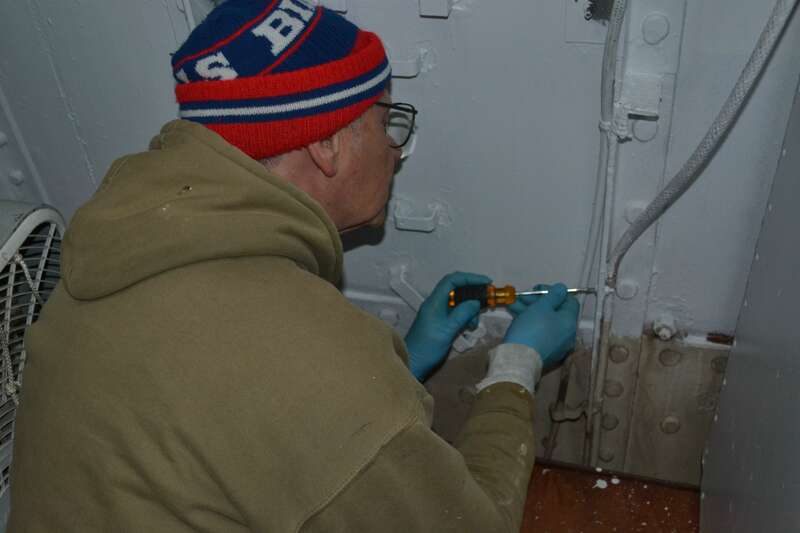 We had a small group of volunteers on this last weekend of winter 2016. While the groundhog may have predicted and early spring, nobody told the weather. It was on the chilly side with rain in the afternoon, and according to one tourist, a few snowflakes made an appearance. 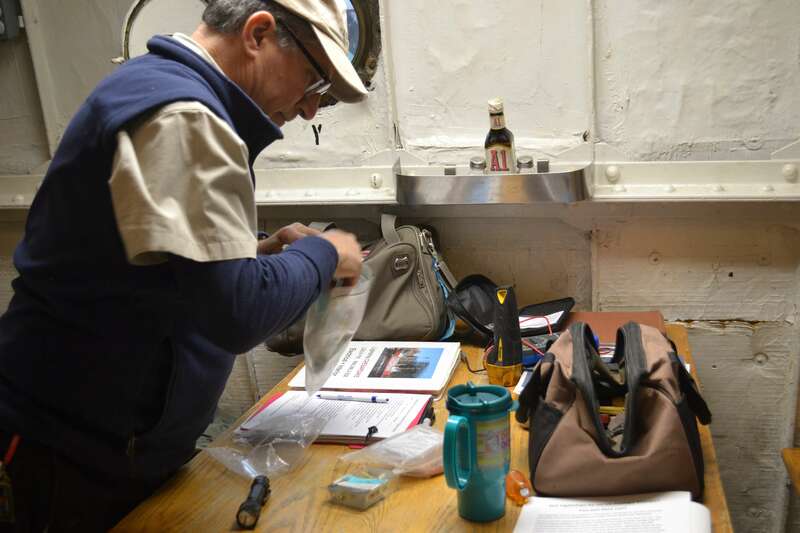 But we still managed to get some of the tasks checked off the list. 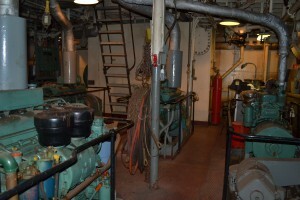 The drill press room was cleared out of excess items. Some of the pipe fitting bins in the Lathe room were emptied, cleaned and prepped for painting once the temperature warms up a bit. 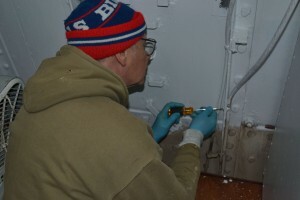 We also scrubbed some of the areas in the Engine Room Fidley that will be painted at a later date – when the temperature warms up a bit. The hot water heater was hooked up for the first time in as long as I can remember. That was a treat. We had hot water for cleaning! 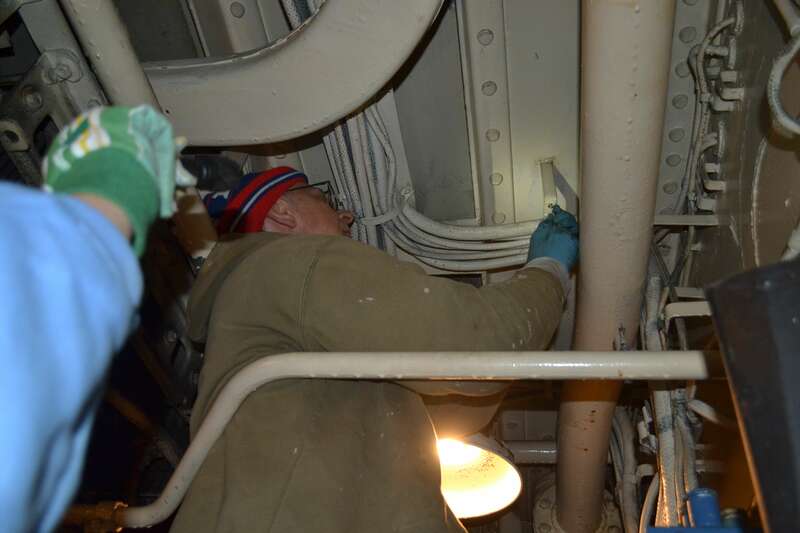 We also made our way down into the engine room and worked on some of the wire clamps that needed some attention and we also cleaned off the top of the engines that are visible from the viewing portal. We were not able to work on the friendship lights or clean off the roof of the radio room. Those tasks were postponed when the rain started. But it was a productive day despite the chilly temperatures, although I must say I am looking forward to some warmer workdays this spring. Lauren clearing out the drill press room. 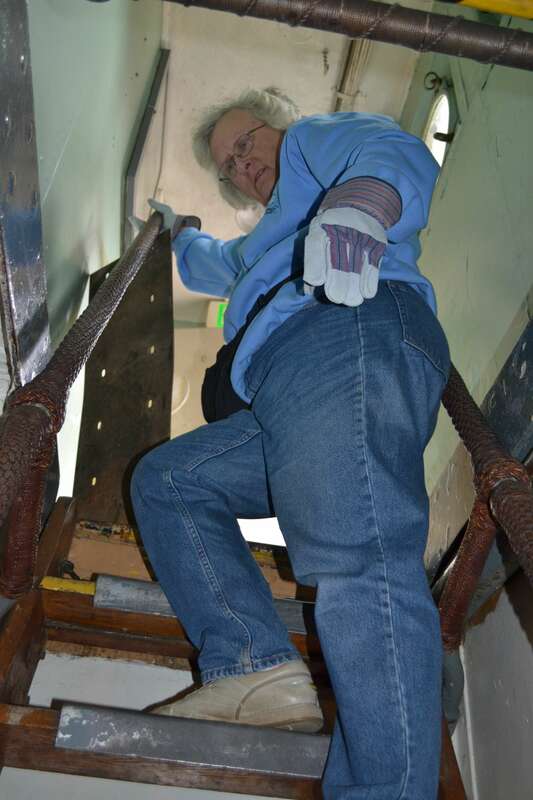 Paula clearing out the drill press room. Tony working on brackets for electrical wires in engine room. Photo by Anne Puppa Engine Room of Chesapeake Lightship.